The blue bass's evil twin! Re: The blue bass's evil twin! drbass wrote: Looks great, David. Lots of graphite in those necks - is that what you would normally do for a thinnish neck? This amount of graphite is not normal! But on this occasion with such width, scale length and such a fine carve on the neck profile I thought it was best. Originally I was going to go with dual truss rods, but the neck profile was too fine and it would have made the neck WAY too heavy. Two lengths of graphite is usually enough to stop twisting. 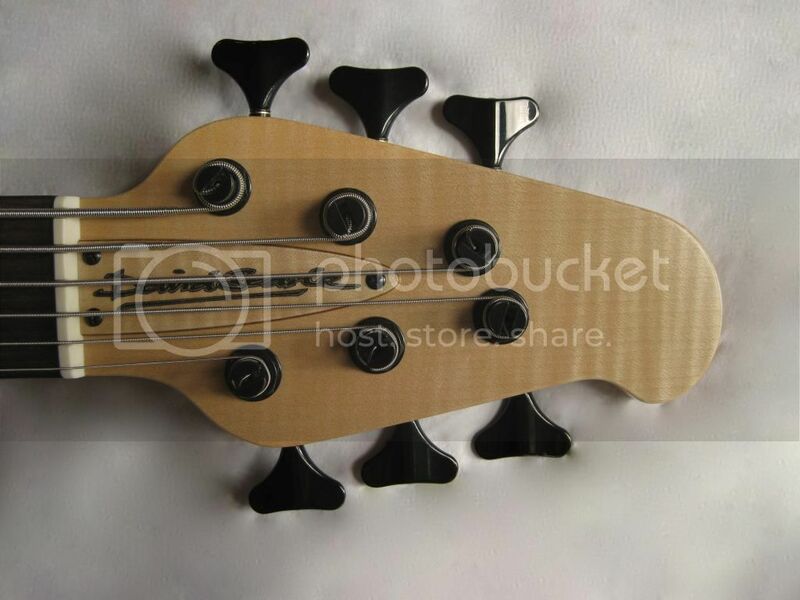 slowlearner wrote: Man, fantastic tailpiece there. What's it made from? P.s. and the rest of the bass is off the chain too! The tail piece cover is made from Macassar ebony that I've had for over 20 years! 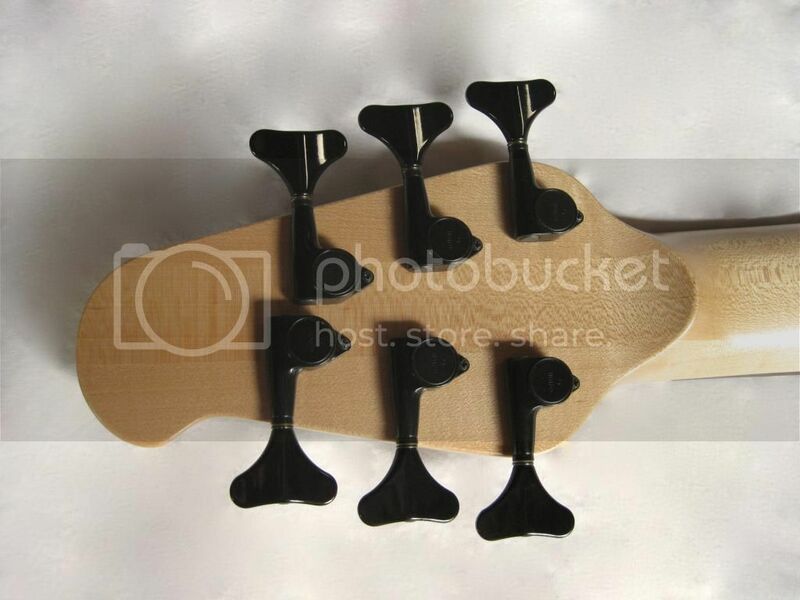 The tail piece has a 3mm brass plate under it to retain the ball end of the strings, so ultimately the ebony cap does not hold the strings in place. 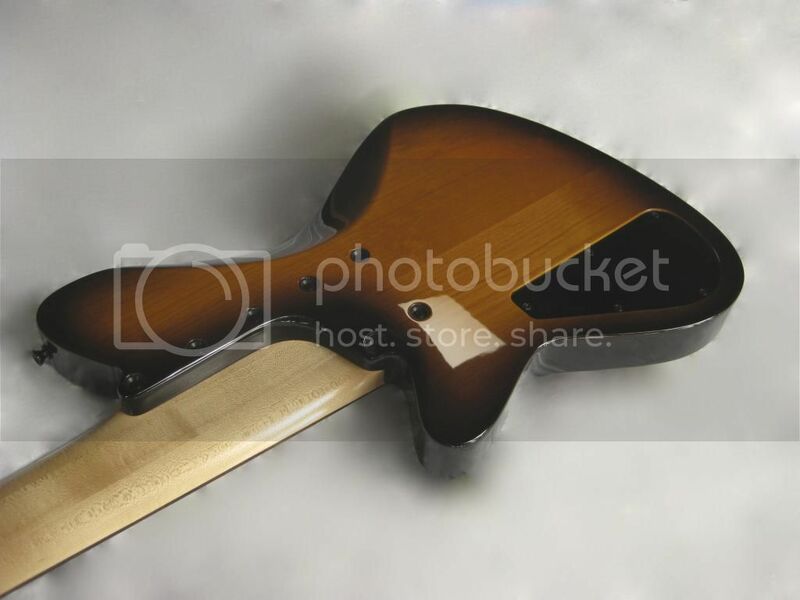 The top of the pickup covers and the base of the bridge are also made out of Macassar ebony. Interesting thing about this material is that you can sand it to a fine finish (about 1200 grit wet & dry paper) and rub it against a cloth or polish it to a mirror finish with a buffing wheel! No lacquer or wax finish needed. 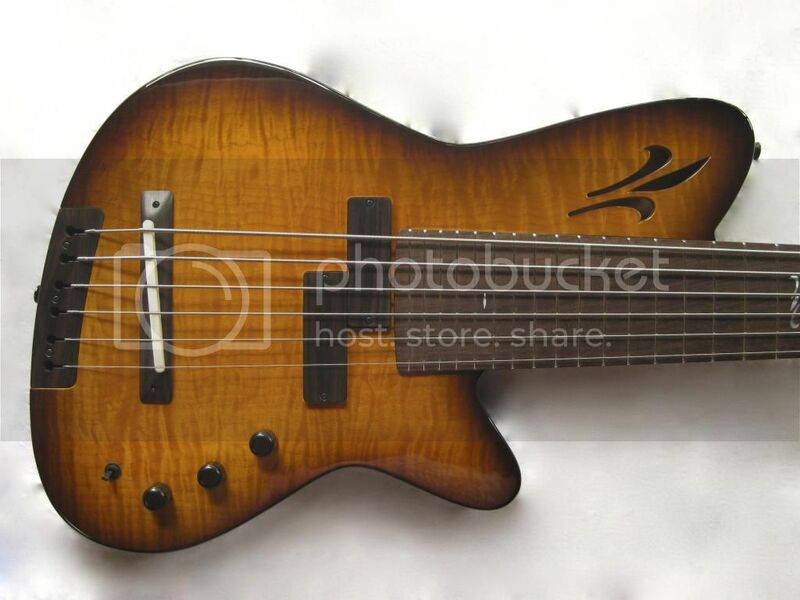 It's by Peter TRB titled 'New bass build' towards the end of the first page. 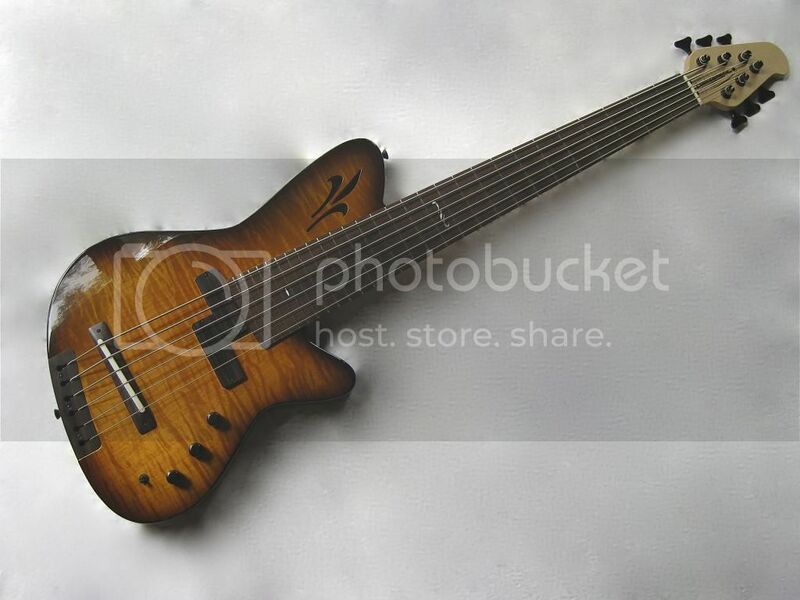 Some completed shots of the new bass. Just a quick question. Why is the PU placed so close to the neck? Is that the P sweet spot? 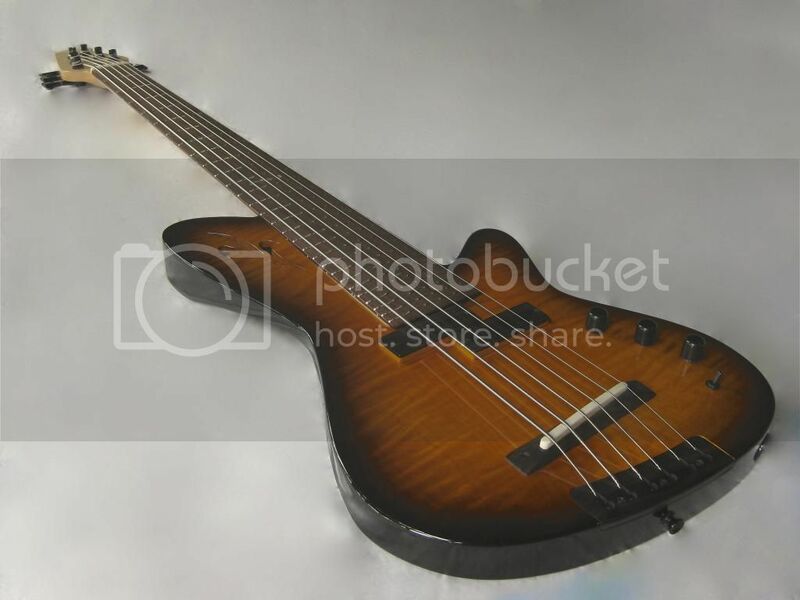 The pickup is basically in the same spot at the blue bass but this one has 28 frets instead of 26 on the blue bass. 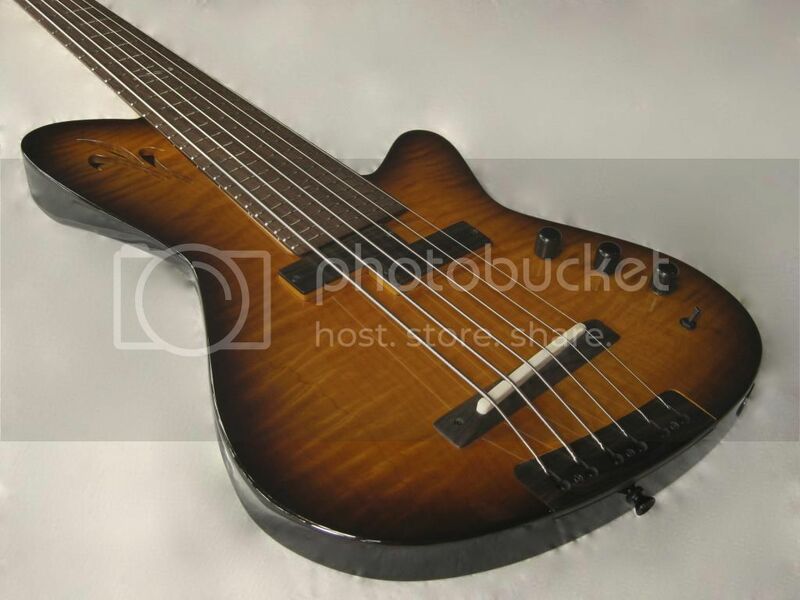 The position of both of the pickups was based around finding the same location that a P bass has and translating that to 36" and then 35". The good old P bass doesn't have many frets by comparison!!! 21 frets vs 28 frets! I wonder what the new owner is gonna use of all them for?